Tan prepared to photograph the sunrise at the Gates of Heaven but the weather didn’t cooperate. However, he didn’t leave the location and stayed around for a bit, and nature presented him with this photo opportunity. Next time you feel like you’ve been let down by Mother Nature, try to wait it out a bit. 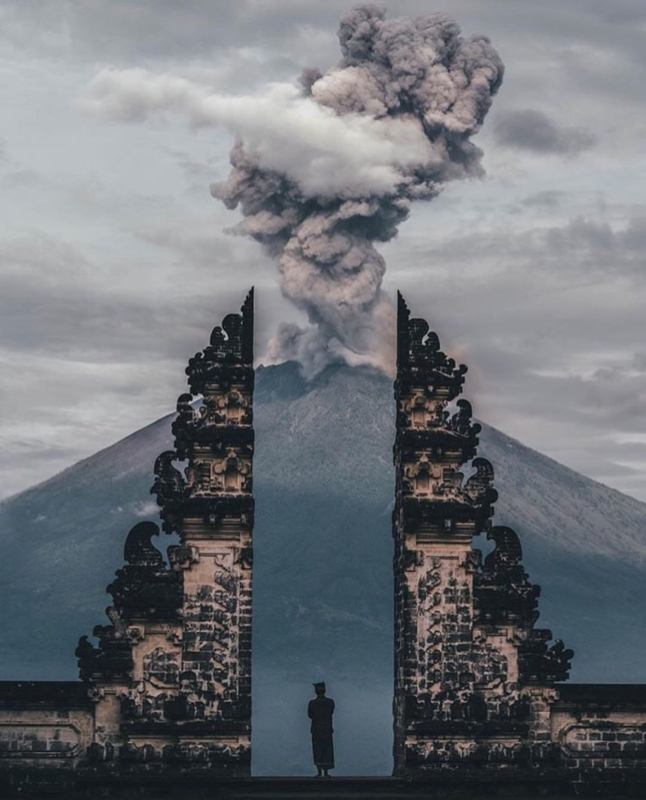 When I first looked at the photo from the top down it looked like the gate was photo-shopped onto the volcano!